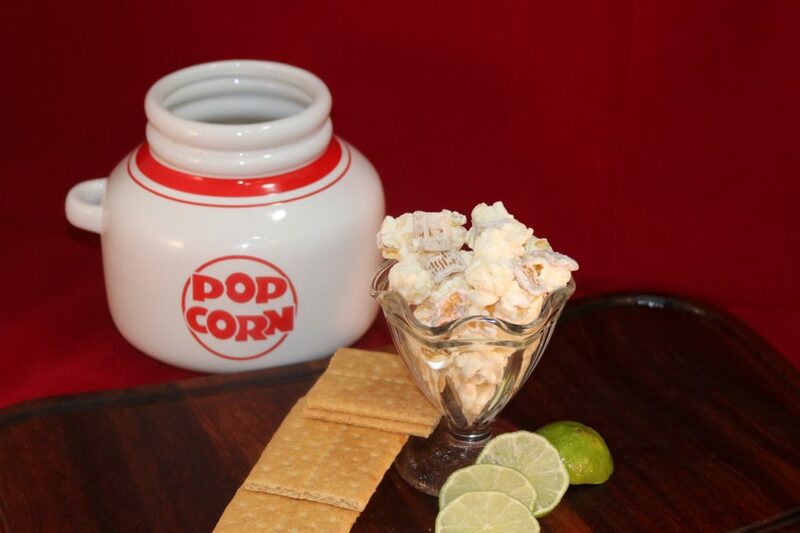 For most people, the smell of fresh popcorn in the air creates an undeniable urge to seek out the source and nibble on some warm buttery kernels. 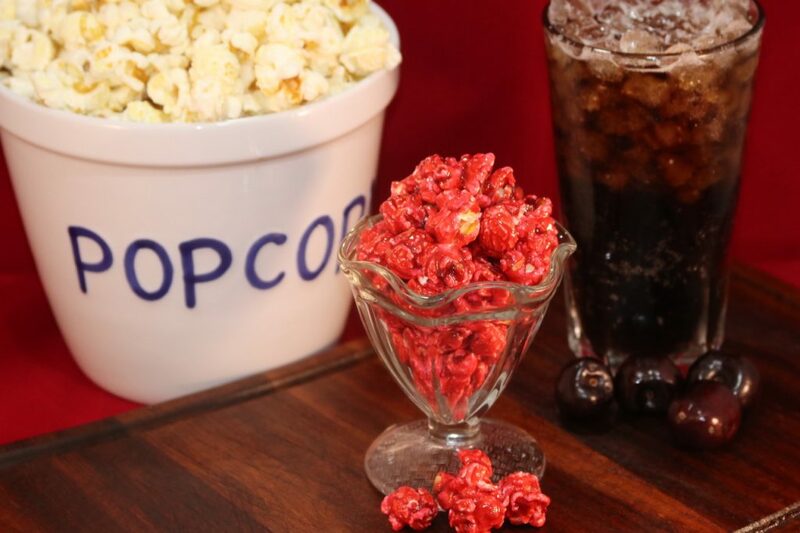 Movie theaters knew this when they decided to add popcorn to their movie going experience. 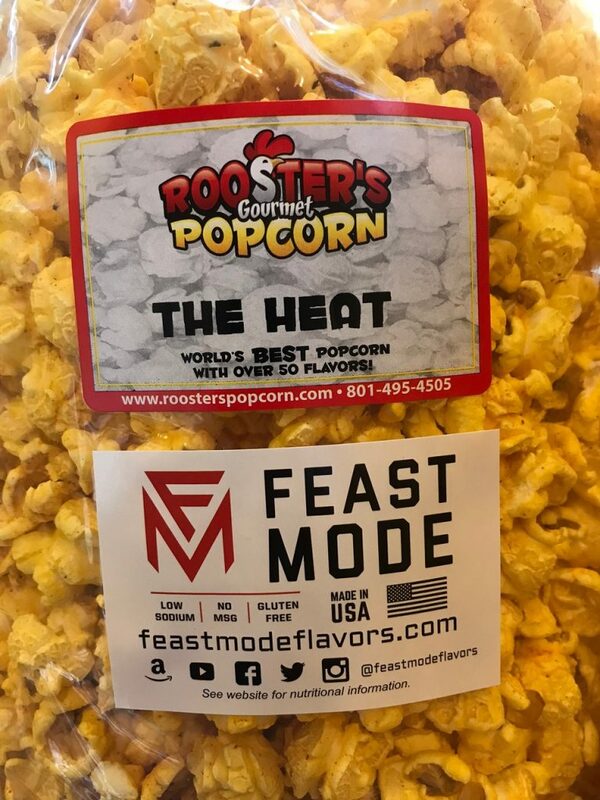 Rooster’s Gourmet Popcorn not only takes this to the next level, but takes the realm of “gourmet” popcorn to out-of-this-world! We currently offer over 110 flavors in FIVE different categories; Savory, Candied, Nutty, Chocolate, and Platinum. 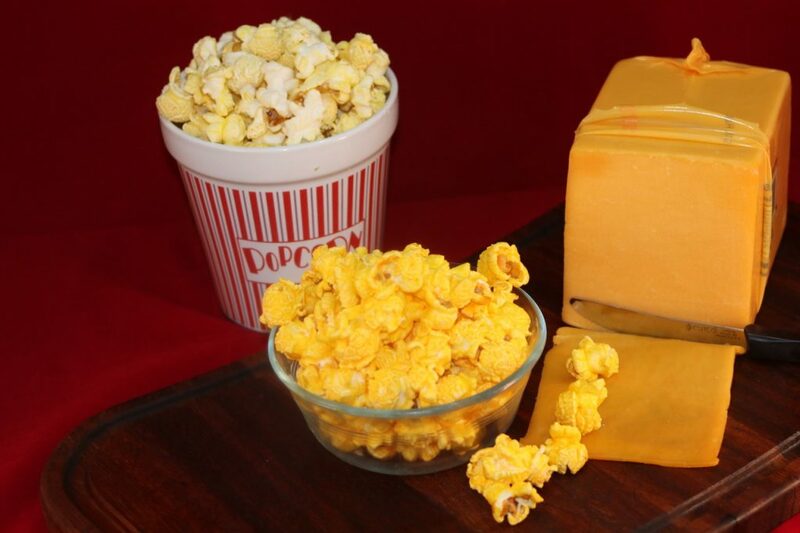 We use REAL cheese in our Savory flavors to create scrumptious Buffalo Wing/Ranch, Cheddar, White Cheddar, Dill Pickle, Garlic Beer, Asian Fusion and many others. Candieds is our biggest category with at least four different Caramels and three different Kettles. Pina Colada and Coconut will take you away on a mini “mind-vacation” to the islands. Black Licorice and Banana are some of the owner’s favorites. Our Nutty category will drive you nuts and our Chocolates will settle the inner cravings of your tired soul. 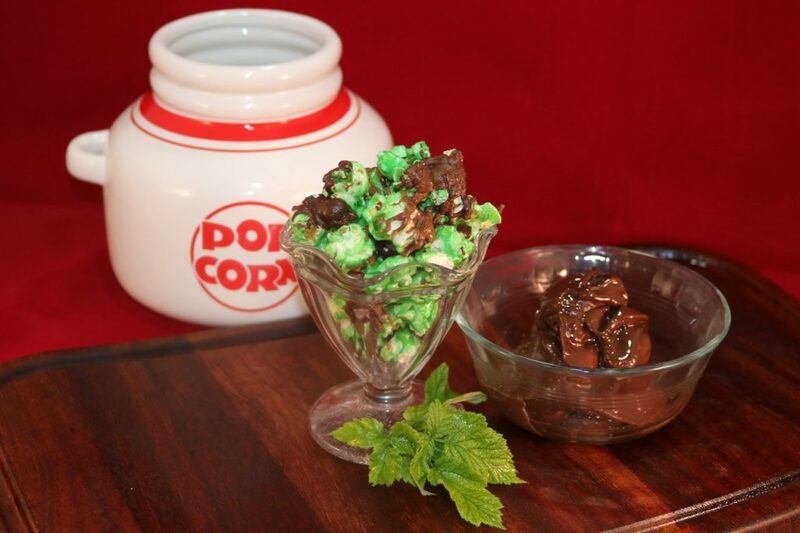 Key Lime Pie and Chocolate Cinnamon Bear are offered along side the more standard White Chocolate or Rooster’s Crunch(Caramel popcorn with milk and white chocolate drizzles). Peanut Butter Chocolate, Cookies & Cream, S’mores, and Salty Rooster make the experience at our store one-of-a-kind here in the state of Utah. As a gourmet shop, we cater to the needs of our customers. 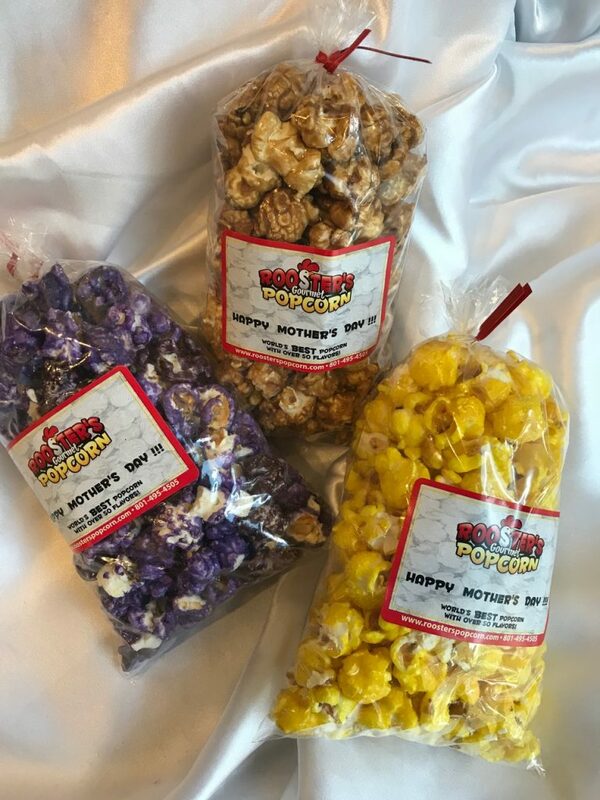 We can color many of our popcorn flavors to match brand or event colors. 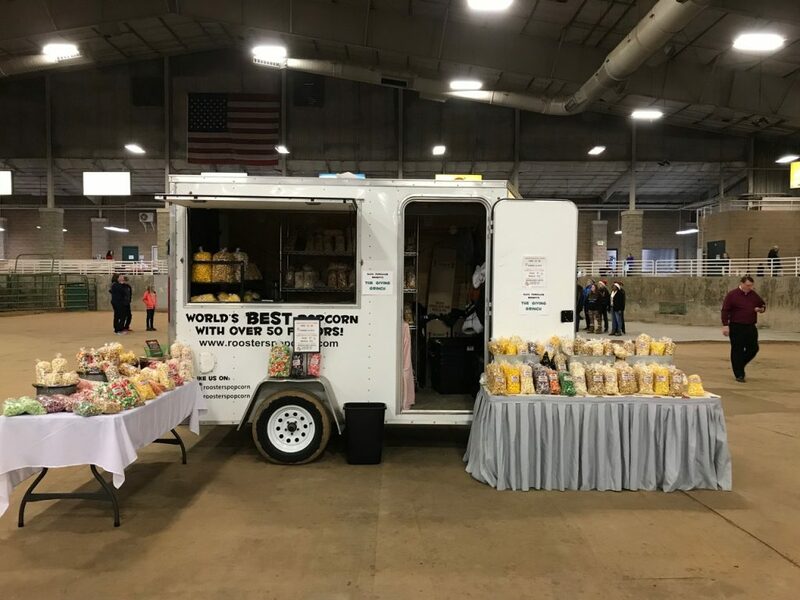 We understand that when you give our popcorn away, it represents you or your company, as well as representing our company, so we take pride in BOTH by using quality products and keeping it fresh. 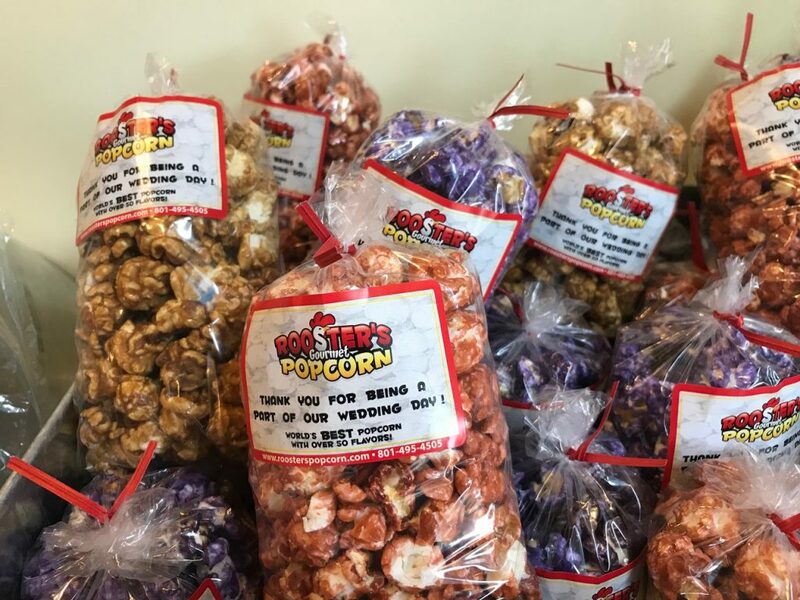 From a simple gift for a friend or loved one, to hundreds of bags or tins filled with popcorn, we can make your customer/employee/marketing gifts an experience to remember. Sampling is encouraged as you undertake the task of which ones to take home with you. Best popcorn in the world. I have recently tried a beer with lime and salt mix that is to die for. We love their popcorn!!! We are regulars at their shop and they alway treat us really well and the popcorn couldn’t be better!!! This place is amazing! They have amazing flavors of popcorn! The owner is so nice and friendly! 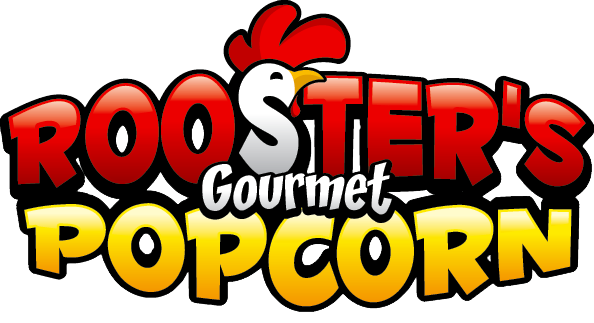 Before we owned Rooster’s, I walked into the store to get popcorn for my daughter’s wedding. I kept going back to sample and buy more popcorn. One day I walked into the store and the original owner told me she was closing the store because they were moving out of state. Not only was I gonna miss my self-indulging treat, but so many people were not going to get the chance to taste this amazing popcorn. I HAD to buy the store and do my best to get this popcorn all over the state of Utah. As all of our six kids have grown-up and moved on, we now spend our time nurturing our little store and dream of opening a few more. We are both “Foodies” at our very core. We like to experience new foods and different flavors, and love it when we find something that makes us want to come back. 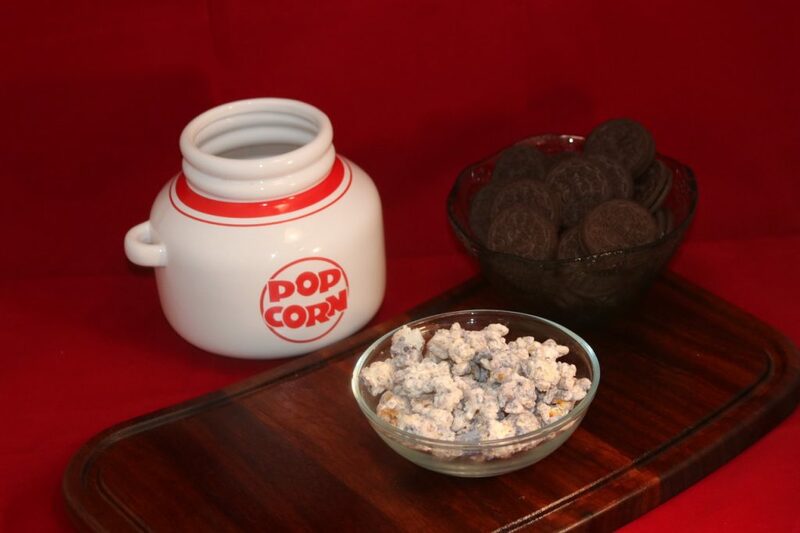 We do our best to provide that with our brand of quality popcorn. 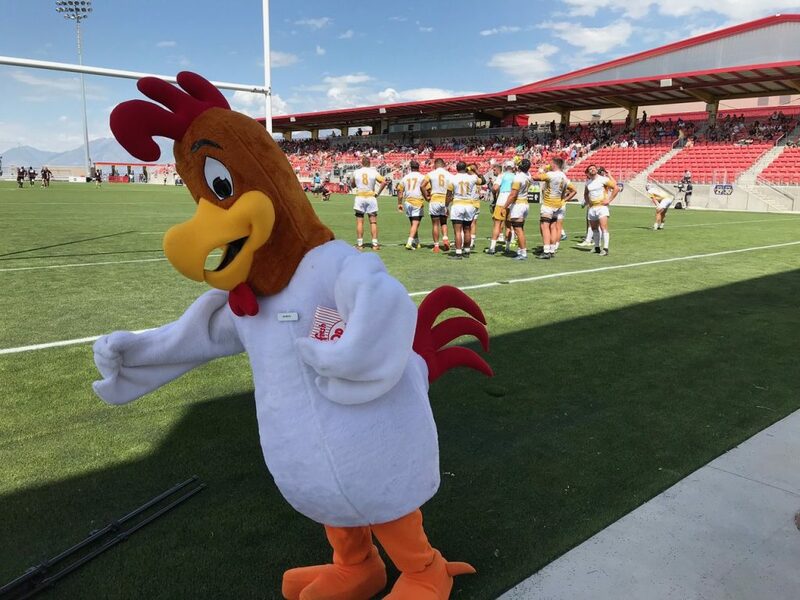 We hope to see you soon and thanks for supporting our family-owned business as well as supporting Utah. 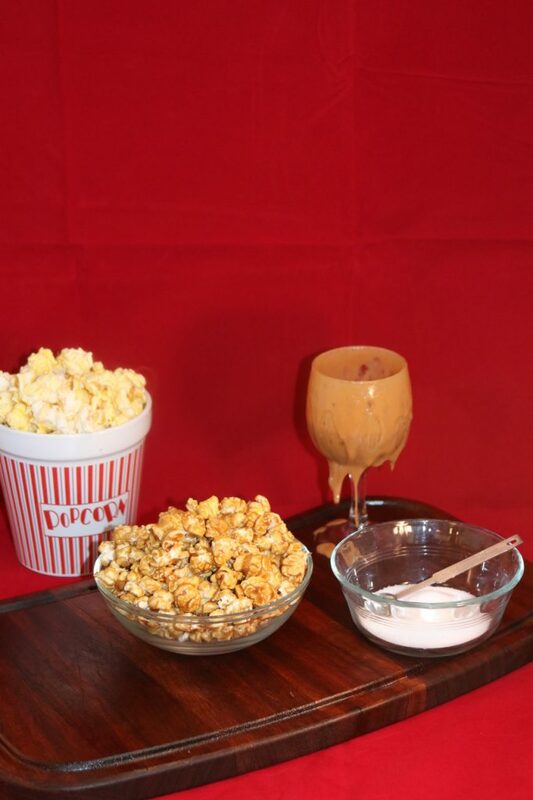 This entry was posted in Food and tagged Food, gourmet, popcorn on March 18, 2019 .